Place potatoes and celeriac in a medium saucepan, and fill with enough cold water to cover by about 2 inches. Bring to a boil over high heat; add salt generously. Reduce heat to a simmer, and cook until vegetables are tender when pierced with a paring knife, 20 to 25 minutes. Drain in a colander. 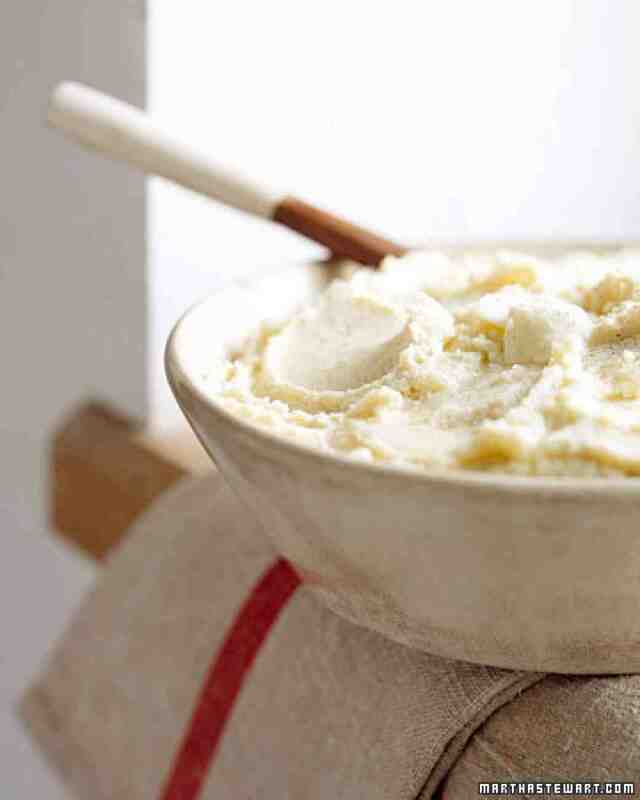 Pass potatoes and celeriac through a ricer or food mill into a serving bowl. Add sour cream and butter, and stir until combined. Stir in nutmeg, and season with salt and pepper. Serve immediately.